Okay, DH and I finally finished Scratches and its accompanying epilogue The Last Visit. 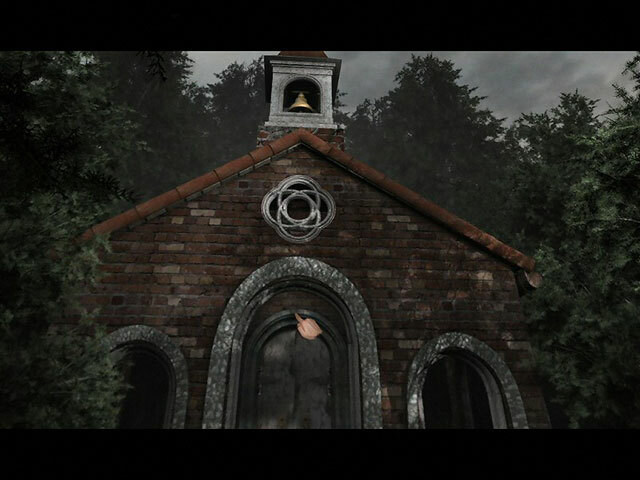 We had expected a great, classic horror game, but to be honest, we were underwhelmed and definitely did not find the ending scary or even slightly terror-inducing. (Plus, you pretty much know how it's going to go down.) We enjoyed the mysterious element and appreciated the incremental building of some tension but there was so much tedious wandering around that even that grew old. It's a very slow-moving game that feels much older than 2006 - is that really its release year? My husband's comment was, "Not great, but not too bad for the 90s" and I had to correct him. the realization that the player cannot die or be harmed in any way whatsoever. Not that I enjoy dying (!) but come on, even Nancy Drew has elements of danger. 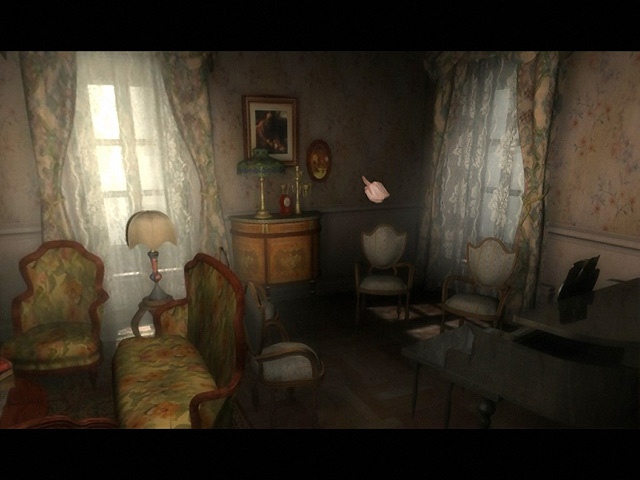 In summary we felt that as a mystery, the game is pretty good although quite slow. However, as a horror title it didn't live up to our expectations. A whole lot of playing hours for not much payoff. Therefore, playing the game with different expectations might be a good thing. ETA - Oh and I advise adjusting the gamma control to "high" in both very dark games or you can't see a thing. I have not yet played it, but I've found that "true" adventures tend to have a less immersive atmosphere for me. While I don't want unsolicited hints, I do enjoy black bar pop-ups giving me extra information about what I'm seeing, as it seems to draw me more in to the story. Genki, I don't have normally have that problem with true adventures. The Longest Journey was VERY immersive for me -- I just lived it, and DH and I felt the same about the Broken Sword series, particularly #3, which we *adored*. 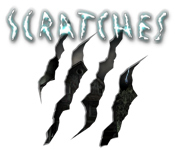 There are so many positive reviews about Scratches - many called it the scariest game they'd ever played - and I can really appreciate what the developer was trying to do. And yes, this was a dark story with some horrific elements for sure, but for us the ending was a big letdown. Changing the subject but FWIW I still think the storyline from the film Skeleton Key would make an outstanding horror game. That's very weird, RMom. Everybody who I know played Scratches was terrified of it. Sound plays a huge role in creating the atmosphere. My sister has low quality speakers and half of the effect was gone (she was still scared though). the complete lack of any danger whatsoever. However, I did tell him about the upcoming Gabriel Knight remake and he's totally up for that!! goes to the house years later. He looks down the hole and calls "Here Kitty". Now, Rhiannon the 4 somethings game---that I found boring. I could not finish it. Rhiannon was mind-numbingly boring. To think that I joined BFG for it! I couldn't finish it. I slogged my way through second chapter for so long that I reinstalled Windows in the meantime. The game wouldn't run properly on new installation. After 5th crash, I ditched it. It was horrible. I couldn't finish the demo of Rhiannon, it was that boring! I think the best thing about Scratches was the build-up to the ending. I mean, all through this game, we're finding notes, journals, diaries (and reading them) and subtle clues about what's going on. The most frightening scene for me was the basement. I dreaded having to go down there and actually got cold chills. For me, this went on for days. By the time I got to the end, I was sufficiently terrified. 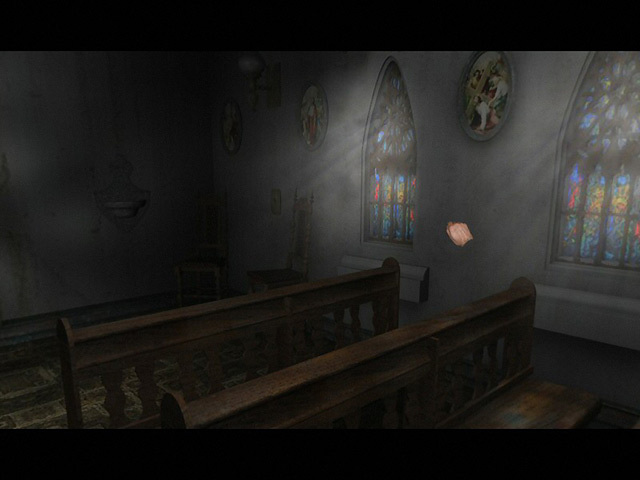 In the beginning stages of the game I was scared of the basement, gallery, etc. But as the game wore on, I found I wasn't. And I do frighten pretty easily, so I think it was mostly b/c I was playing it along with DH. On my own I probably would've felt more of a sense of dread. I prefer no guts or gore and hate slasher movies, or games so it was right up my alley. I'm totally with you there, except for one thing... I LOVE a good zombie flick! One of my favorites is the 2004 version of Dawn of the Dead. *shrugs* I don't know why, I just love zombies! Now while I'm not a blood and guts type of gal, I'm STILL really looking forward to Bad Omen, which is supposed to be out this month. The intro reminds me of a zombie flick, so I can't wait to see where it goes!